When used in your job search, an elevator pitch is a short introduction of who you are and where you would like to go in your career. An elevator pitch is like a sales pitch. However, instead of selling a product, you are selling your skills and what you can offer. The goal of the elevator pitch is for the listener to want to learn more about you. In general, a good elevator pitch is approximately 30 seconds long. It should be long enough for a listener to get an idea of who you are, but short enough so that you do not lose his/her attention. Give the listener enough information so that s/he would want to continue the conversation with you. You can use an elevator pitch in a variety of situations. For example, when you are at a networking event or a career fair, you can use your pitch to introduce yourself to a potential employer and let them know what you are looking for. 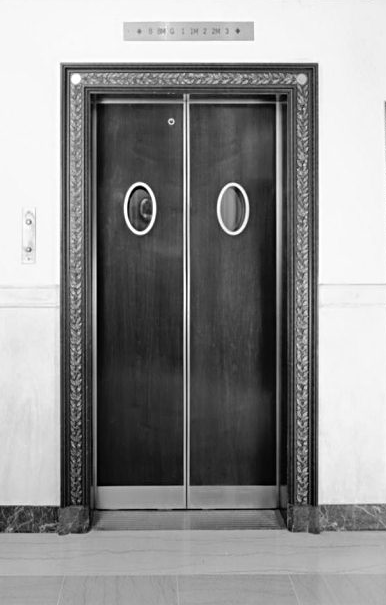 An elevator pitch can be used in a job interview when an employer asks “Tell me a little bit about yourself.” An elevator pitch does not have to be reserved for career-related events. You can use an elevator pitch just about anywhere. For example, I was on line at Starbucks recently and I struck up a conversation with a woman standing in front of me. She asked me what I did, and I used my elevator pitch to summarize my background. I told her that I just received a graduate degree in counseling at San Francisco State and I was looking for career counseling positions. Within minutes I learned that she has a brother who is a career counselor and she recommended that I talk to him about careers in this field. It is important to always be prepared to deliver an elevator pitch because you never know when it may come in handy! So, how do you create an elevator pitch? I recommend writing your elevator pitch on paper. Doing so can help you clarify your thoughts. Before writing an elevator pitch, consider your goal for the pitch. Are you changing careers and would like to obtain information to learn more about a certain field? Is your goal to learn more about opportunities in a certain industry or company? Do you want to expand your network and gain more contacts in particular field? Your pitch will be different depending on your goals. Hi. My name is Sandy and I recently moved to the United States from Brazil. I just received my accounting degree at XYZ University where I obtained a 3.9 GPA and gained experience in the field through interning at two accounting firms. I just obtained my Certified Public Accountant license and I am very interested in the accounting opportunities at your firm. Can you tell me a little bit more about them? An elevator pitch should be simple, clearly state what you are looking, and draw the listener in. Before you use your elevator pitch, remember to practice. This can help you determine if it is too long or too short and if you are able to clearly state what you are looking for. Overall, delivering an elevator pitch can help you expand your network, learn about a certain industry, and help you land your dream job. Sara Ayazi is pursuing her graduate degree in counseling at San Francisco State University. She is currently interning at the Career Development Center at City College of San Francisco. A former attorney, Sara specializes in counseling clients on career transitions and the career exploration process.